Rinn mi deich bùithtean-obrach aig Bun-sgoil Taobh na Pàirce le 60 clann bhon dà chlas P3. Choimhead sinn air beachdan mu fhàgail àite ann an cabhag agus chuir sinn seachad tòrr ùine coimhead air rudan a tha cudromach dhan chloinn ceangailte ris na ceistean ‘Dè bheireadh tu leat nad phoca-droma nan robh agad ris an sgoil (taigh, baile, teaghlach) fhàgail ann an cabhag?’ Chuir sin ris a’ bheachd de phoca-droma meataforach a bha mi an dùil a bhiodh anns an tachartas iomlaid bheachdan. Cho-dhùin aon de na sgoilearan gun urrainn dhut an cànan agad a thoirt leat, a’ Ghàidhlig agad, ge b’ e càit an tèid thu. Cha ghabh e rùm sam bith agus bidh e gad cheangal ris an dachaigh agus an sgoil agad nuair a bhios tu air fàgail. Dh’ionnsaich sinn òrain leithid ‘Buain na Rainich’ agus sheinn sinn an t-òran seo aig toiseach gach bùth-obrach gus blàthachadh suas le gluasadan a chruthaich mi còmhla ris na daoine òga anns na bùithtean-obrach. Bha sinn a’ fighe a-steach briathrachas a chaidh ath-sgrùdadh rè a’ phrògraim gus comasan beul-aithris agus cruth-tìre Dhùn Èideann na cloinne a leasachadh, m.e. abhainn, beinn, loch, rathad, sràid amsaa. Bha spòrs againn cuideachd le faclan a mhìnicheas fuaimean a thig bho chorp dhaonna., m.e. sranndaireachd, mearanach, priobadh, casadaich, snòdarsaich, sreathartaich. Rinn mi eadar-theangachadh den leabhar The journey le Francesa Sanna, sgeulachd mu fhògarraich a bhuannaich iomadh duais agus a chòrd ris a’ chloinn gu mòr. ’S e leabhar cudromach a bh’ ann ann an dà dhòigh: do na sgilean eadar-theangachaidh agam fhìn agus a thaobh susbaint na sgeulachd. Tha mi an dòchas gun robh toraidhean so-làimhseachadh ann do na daoine òga a thaobh leasachadh a’ chànain aca, smaoineachadh cruthachail, gluasad, obair còmhla ri neach fileanta nach b’ e an tidsear aca agus gun d’ fhuair iad spòrs ann a bhith a’ ceangal ris a’ chànan aca. Dhomhsa mar neach-ealain ’s e àite cofhurtail is nàdarra a bh’ ann. Tro bhith a’ bruidhinn, a’ cruthachadh agus a’ cluich ann an Gàidhlig bha mi a’ leasachadh nan sgilean agus a’ mhisneachd agam a bhith ag obair le daoine òga san dòigh sin agus lorg mi sgilean annam fhèin air nach robh mi mothachail roimhe! Bha corra coinneamh agam còmhla ri luchd-ealain eile, Rob Heaslop agus Martin O’ Conner, gus ullachadh airson nam bùithtean-obrach, agus bha iad air leth feumail. Chan eil mi a’ faireachdainn tuilleadh gu bheil stiùireadh agus cruthachadh bhùithtean-obrach mar seo drùidhteach no do-dhèanta dhomh. Bu toil leam cumail a’ dol ag obair mar seo agus chòrdadh e rium gu sònraichte a bhith ag obair còmhla ri luchd-gnìomha eile gus cumail a’ dol air an t-slighe ionnsachaidh agam. Tha mi a’ coimhead an-dràsta air bùth-obrach Mapa Gàidhlig do dhaoine òga mar rudeigin a dh’fhaodainn cruthachadh agus toirt gu sgoiltean. Bha Bun-sgoil Taobh na Pàirce taiceil agus fosgailte ris a h-uile rud cruthachail agus b’ urrainn dhaibh togail air an obair a bha mi a’ dèanamh eadar na tachartasan. I did ten workshops in total at Taobh na Pàirce with 60 children across the two P3 classes. We explored ideas around leaving a place in a hurry. We spent a lot of time looking at objects that were important to the children, in response to the questions - What would you pack in your back pack if you had to leave your school (house, city, family) in a hurry? This objects began to contribute to the idea of a ‘metaphorical backpack’ that I hoped would be in the ideas exchange event. One of the participants came to the conclusion that you can take you language with you, your Gaelic, anywhere you go, it doesn’t take up any room and it will connect you to your home and school when you leave. We learnt songs like Buain-a-Rannaich, singing that particular song at the beginning of each workshop as a warm-up tool with actions that I developed with the young people during the workshops. 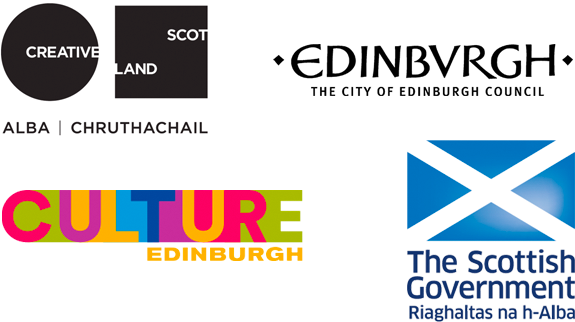 We built in vocabulary that was repeated across the programme of workshops to build up the children’s story telling ability and knowledge about the Edinburgh landscape. [Abhainn, Beinn, Loch, rathad, sràid etc]. We also had fun with words that describe noises that come from the human body [sranndaireachd, mearanach, priobadh, casadaich, snòdarsaich, sreathartaich]. I translated the book The journey by Francesa Sanna and award winning refugee story – which the children enjoyed listening and responding to. This was an important text both in my own skills development of translation and in terms of the content of the story. I hope that there were some tangible outcomes for the young people in terms of their language development, creative thinking and movement, their experience of working with a fluent speaker who wasn’t their teacher and that they had fun connecting to their language in their language. For me as an artist, it was a very natural home for me. 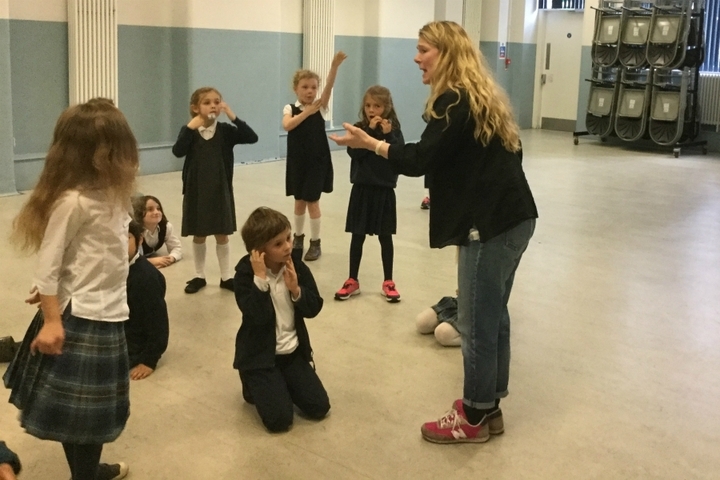 Talking, making and playing in Gaelic – I developed skills and confidence to continue working with young people in this way and I discovered skills that I didn’t know that I had! I had a couple of meeting with other artists in preparation for the workshops which were extremely helpful these were with Rob Heaslop and Martin O’ Conner. Leading and devising workshops in this way no longer feels like a mystery to me or something that I can’t do. I would like to continue working like this and would ideally like to be working with other practitioners to continue that learning journey. I am currently looking at a Gaelic Map workshop for young people as something that I develop and take to schools. Taobh na Pairce were supportive and open to everything creative and were able to build on the work I was doing in the workshops between visits.